All wanting to be picked, each toy examines their own self-described shortcomings and turn to one another for comfort and advice. But the most important thing they discover is that as much as you fix things up on the outside, it's what's on the inside that really counts. With an emotional and surprising ending for all the toys, this heartwarming and timeless tale of love and friendship is destined to become a favorite of young and old for years to come. It is cool, because it has cool pictures. I liked it when the bear got picked again. It was so cute. I liked that the rag doll got helped to get dressed up pretty again so she could get chosen by a child. I was surprised by the ending when the bear got chosen and who the grandpa was. The story reminded me a little of a vintage style Toy Story where the toys are alive and want to play with children. The toys in this story spent many years in the attic and help each other get dressed up, cleaned, and repaired for the anticipated day when the children will come into the attic and each pick one of the old toys to play with. There is a good moral to this story as none of the toys were able to reach their goals without the other's help. I love how this applies to economics and business success. We are most successful when we lift each other up instead of shoving each other down to get ahead. Kal'el asked many good questions and was engaged while we read. I loved the rich and vibrant illustrations.The illustrations set a mood for the book that is classic, festive and compliments the author's story telling style. The pages each have a high word count, but the elaborate detail in the illustrations keep the eye and imagination busy while the child is being read to. The book itself is well constructed and has an heirloom feel to it, as if it is a special book to be read by the fire during Christmas or other special occasions and visits. 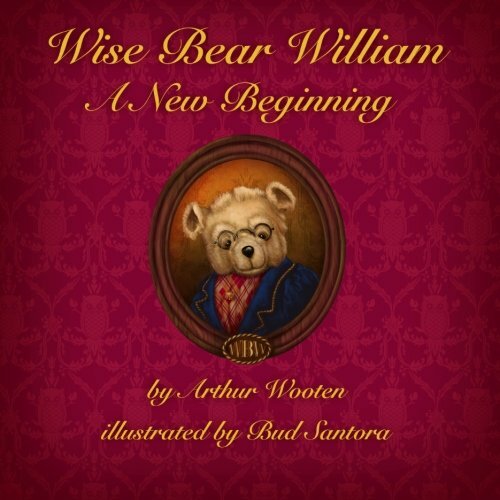 You can purchase your copy of Wise Bear William on Amazon. All Children's books reviewed by A Storybook World are donated to schools after reviews.